For more information, visit CiderHead.com. Photos courtesy of Honey Moon Mead & Cider. This month the United States Association of Cider Makers (USACM) announced its Pick Cider campaign that encourages consumers in a fun and engaging way to serve cider. The Pick Cider campaign was launched just before the Thanksgiving holiday, a time typically associated with increased sales volume for cider, to give consumers ample time to purchase their ciders and find recipes to replace ingredients for hard cider. 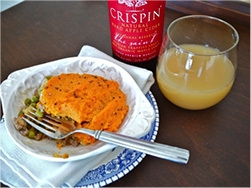 For additional information on suggested cider pairings, recipes and more visit PickCider.com or follow #pickcider on social media platforms. Please continue to ‘pick cider’ through the entire holiday season and year-round. You can support your local agricultural community by purchasing locally-sourced ciders which can be found in most areas of the country. Photos courtesy of Heather Schmitt-Gonzalez of All Roads Lead to the Kitchen, Michelle Hooton of Bite By Michelle, Lauren Grier of Climbing Grier Mountain, Michelle Rollins of New Leaf Eats, Jack’s Hard Cider, and Sonoma Cider. Vermont Cider Company™ announced its first entrants into the ultra-premium cider segment – Addison, a year-round style, and Wassail, a barrel-aged seasonal. While Addison will be available year-round, Wassail is the first of several limited-edition, barrel-aged ciders that will be offered. 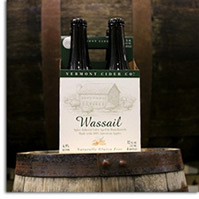 Wassail will be in the market seasonally from December – February. Initially offered exclusively in the Northeast beginning December 1st, Addison (5% ABV) will retail for $10.99 for a 12oz 6-pack and will also be available in 5.2 gallon kegs. Come January 1st, the cider will also be available in 16oz can 4-packs. Wassail (6.9% ABV) will also retail for $10.99 per 12oz 4-pack. For additional information, check out Vermont Cider Co on Facebook. Photos courtesy of Vermont Cider Company. 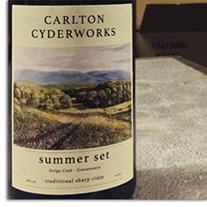 As the 2016 apple harvest draws to a close, Carlton Cyderworks announced the release of three premium ciders, available to the public for the first time Thanksgiving weekend. A special release party was even held on ‘Black Friday’ and ‘Small Business Saturday’ at Carlton Cyderwork’s newest orchard, in Dayton (OR) to kick-off the holidays with cider. “We are incredibly excited to share our new premium ciders, and to have celebrated this release with our first ever orchard party. As cider consumption has grown, we have seen the demand from cider drinkers for more complex and refined ciders. We hope to impress such cider aficionados with our new premium ciders and perries,” said Keenan Bailey, CEO of Carlton Cyderworks. Summer Set: A 50/50 blend of Dolgo Crab apples and heirloom Gravensteins, this cider is wonderfully tart and full of character and zest. A wild fermentation adds further depth and charm. Sidra Natural: A homage to the storied cider regions of Asturias and the Basque Country of Northern Spain, Sidra Natural offers tangy, sharp, acetic notes, along with a full tannic body and mouthfeel. Asian Pear: The first completely dry perry produced by Carlton Cyderworks, this perry allows cider drinkers to experience a unique fruit unadulterated by other fruits or flavors. Hosui, 20th Century, and Shinsheiki, Asian pear varieties were sourced from a nearly wild orchard in Oregon’s Umpqua Valley to provide the juice base. 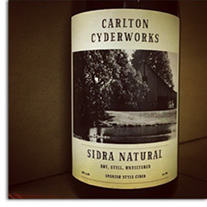 More information about Carlton Cyderworks and the new ciders, please visit CarltonCyderworks.com. Photos courtesy of Carlton Cyderworks via Instagram. Angry Orchard and Eden Specialty Cider announced the release of Understood in Motion 01, a new collaboration cider born of friendship among two Northeast cider makers, as well as a shared commitment to raising awareness of the American cider industry. This cider is Angry Orchard's first American collaboration. Additional Understood in Motion ciders, named for the motion of apple harvest and the cider making process, are already in the works for next year. Collaborations like this, which are rare in the cider industry, give cider makers the opportunity to combine techniques and favorite ingredients to develop something completely new, allowing drinkers to think about hard cider in a new light. The cider was debuted at a James Beard House Dinner in New York City, and became available to purchase at Angry Orchard in Walden, NY earlier this month to coincide with National Cider Day (November 18). "One of our main goals is to raise awareness of the cider industry in the United States, and this is a goal our friends at Eden share," said Ryan Burk, Head Cider Maker at Angry Orchard. "Their cider makers make some of the world's best ice ciders and I've always admired their approach. With this collaboration, we were able to combine our techniques to create something completely new and, in the process, help push American cider forward." 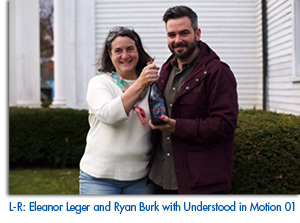 The decision to make this cider came about when Ryan and Eden’s Eleanor Leger were hanging out in New York City after a cider event, talking about cider and apples, and how there just aren’t a lot of collaborations in the cider industry. Each known for different styles of cider, they decided it’d be interesting to bring their techniques together. 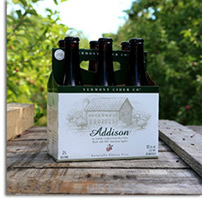 Eden is known for its ice ciders, which are sweet and apple-forward, and made from Vermont heirloom apples. Angry Orchard makes a variety of ciders, including specialty ciders available only at the Innovation Cider House, its home for research and development, as well as ciders available more broadly. Its most popular cider, Angry Orchard Crisp Apple is made with bittersweet and culinary apples from Europe, and strikes a perfect balance between sweet and dry. Understood in Motion 01lands somewhere in between – it's semi-dry and drinkable – still, like wine – and meant to be shared among friends. "At its root, this collaboration was inspired by apples and the cider makers who care about them," says Eleanor Leger, Founder and CEO of Eden Specialty Cider. "It was an honor to come together with Angry Orchard, a leader within the cider community, to create something completely new that was true to both of our techniques." Together, the cider makers carefully chose specific heirloom apple varieties from Vermont including Ananas Reinette and D’Arcy. Eden pressed the apples and fermented the juice at its cidery and then sent it down to Angry Orchard’s Innovation Cider House. There, the cider was fermented slowly to dryness and spent six months aging – some of it in stainless steel tanks and some in used Calvados barrels. At that point, Eleanor visited Ryan at the cider house for final blending. Together, they worked to blend in different amounts of a three-year old ice cider from Eden to achieve a perfectly balanced finished cider. The cider is a semi-dry with balanced acidity and is low in tannins. It has an overripe, baked apple flavor with notes of honey and a light floral aroma. There are some oak and spirits flavor notes from the time it spent aging in Calvados barrels. Understood in Motion 01, with an 8% ABV, goes well with savory main dishes like roasted rosemary chicken and is delicious with spicy gamey meats. Understood in Motion 01 is available in 750mL bottles at the Angry Orchard Innovation Cider House in Walden, NY only for $25.00 per bottle, while quantities last. 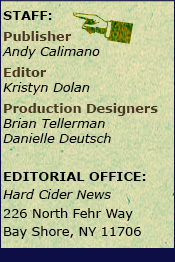 For additional information on Angry Orchard, please visit AngryOrchard.com. 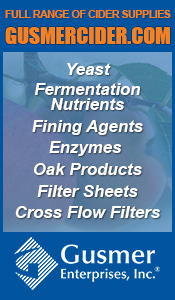 For additional information on Eden Specialty Cider, please visit EdenIcedCider.com. Photos courtesy of Angry Orchard. Kaneb Orchards, a small apple orchard in Northern New York, near the Canadian border, has been making waves in the ever growing popularity of hard cider. The company’s two hard ciders, Cranberry Crisp Cider and St. Lawrence Cider, both won gold achievements in the recent World Cider Championships sponsored by Tastings.com. This is the third year since Kaneb Orchards started producing hard cider on the family-owned orchard, and has consistently placed at the top of many competitions around the globe since the beginning. The focus for Kaneb Orchards is producing small-batched cider that is easy to drink and not too sweet. Their initial goal behind the now four ciders Kaneb Orchards makes is to make a cider that everyone will want to drink and educate the public on cider. Over 50 years ago, the elder Edward Kaneb started planting apples trees as a hobby. The trees produced high quality apples and were plentiful so the family made a business by selling the apples to local cider mills for pressing. Years of trucking the apples to other parts of New York got expensive with fuel costs, so in 2009 they made the decision to start pressing their own cider. Edward Kaneb Jr. and his sister Elizabeth Kaneb invested in equipment, took classes, and got their feet wet in pressing and bottling fresh cider. 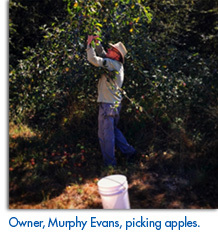 With over 35 varieties of apples, the cidery began making delicious and popular fresh cider. With the popularity and resurgence of hard cider over recent years, the natural next step for the Kanebs was to learn the craft of making hard cider. 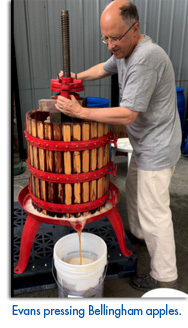 After taking hard cider making classes at Cornell University, under the direction of Peter Mitchell, the Kaneb Family fermented their first batches of hard cider. Experimenting with different apples, yeast and blending, the company began bottling soon after. The first of two ciders released was St. Lawrence Cider, a medium sweet apple cider with 5% ABV that is a clear, crisp, elegant cider. The second cider released was the Cranberry Crisp Cider with 5% ABV. The proximity to a large local cranberry bog helped make this cider possible. Kaneb Orchards presses the fresh cranberries into juice and then blends with the fermented cider. This medium sweet, refreshing and mouthwatering cranberry flavor cider has excellent balance. 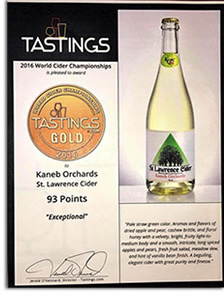 Now in 2016, Kaneb Orchards Hard Cider has won multiple gold medals and rankings at competitions around the country including the New York Food & Wine Classic, New Yok State Fair, Drink Outside the Grape, The Big E Northeast, Great Lakes Cider & Perry Competition, Indy International Wine Competition, and the World Cider Championships. To learn the complete Tastings.com methodology, please visiting Tastings.com. Kaneb Orchards Hard Cider is available to purchase in New York at liquor and wine stores, as well as select restaurants. Availability and information on Kaneb Orchards Hard Cider can be found at KanebOrchards.com. Photos courtesy of Kaneb Orchards.